If you've been around church sound for any length of time, you've no doubt seen some things that make you go, "Huh." The other day a video came through the video shop where I work (at least for 7 more days! ), that made me go, "OH MY GOODNESS!" Most of you out there are smart enough to know that electricity and water are a dangerous combination. They even put those nice big tags on the cords of hair dryers to remind you not to use them in the shower. That's good advice (even if the tags are annoying). 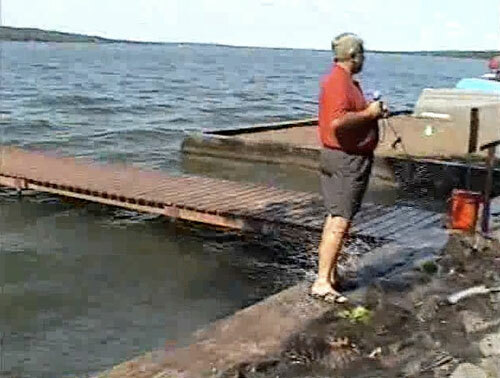 In fact, I would say that playing with electricity when you are standing in water is not such a good idea. Agreed. Well, apparently, the people in the photos below did not get the memo. 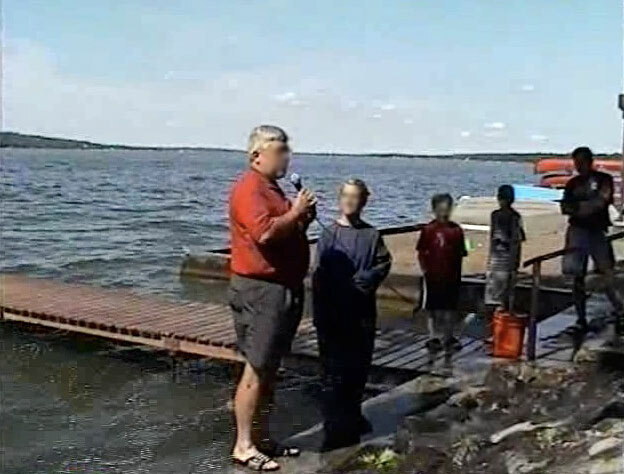 What we have here is a water baptism at a lake. Great spot for a baptism, really. Lots of water, good scenery, beautiful day. The danger comes when you hand someone mic. Why? Because sound systems run on electricity. Yup...take a look (sorry for the poor quality, the images were ripped from a DVD made from VHS). Check out the splash of water soaking the concrete below his feet. Notice he's holding a mic (an SM58 I reckon), while standing in water. Sweet. Now he pulls the poor, unwitting victim… er baptism candidate over. Appears to be a child. Child endangerment anyone? Just when you though it can't get any worse, he hands the girl the mic! At least when they went out into the water they set the mic down. I watched the video, and they all came out alive. However, this is a seriously dangerous practice. Had there been a fault in the sound system it is possible (okay, I know is unlikely, but it is possible) that the mic could have become energized. I would also have a sneaking suspicion that the ground was lifted on the board (just a wild hunch), which would make it even more dangerous. Can we agree to just not do this? If it's really necessary to have a mic near water (especially if someone needs to hold said mic near water), go wireless. Then you're looking at 9v at most. Better safe than sorry, that's my policy. Few things will spoil the joy of a baptism service quite like electrocuting the baptism candidate.